Jon Beaman is the Director of Client Success for Specialized Property Management in Dallas/Fort Worth, and has been with the company since January, 2014. 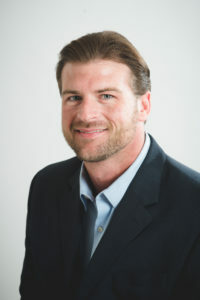 Mr. Beaman has over four years of experience in property management. His current position reflects his strengths as a real estate professional and emphasizes his abilities to assist others. Mr. Beaman’s responsibilities include on-boarding property owners, self-managing landlords, and investors, as well as handling all the property management needs with investment properties. He also provides a detailed look at how the company operates their processes and business platform, as well as providing perspectives on rental competitive analysis. In addition, Mr. Beaman remains current with the local National Association of Residential Property Managers (NARPM) chapters and local Realtors. Mr. Beaman places a strong focus on customer service, as it has been at the core of our company and drives our success. He previously served as Quality Assurance Manager, with an emphasis on business reputation management, responding to reviews placed by the consumer. Prior to joining the company, he worked as survey crew chief for eleven years for Gorrondona & Associates, and was previously employed at Byrn & Associates Surveying and Engineering, both companies working in civil development and working closely with water districts, municipalities and the Texas Department of Transportation. Mr. Beaman received his Texas Real Estate sales license from Kaplan College. In addition, he played football at Southwest Texas State University. He has completed courses in property management, specialized residential leasing, numerous tree identification courses, as well as extensive field calculations and advanced geometry courses. In his spare time, Mr. Beaman enjoys being a father to his 7 year old son, golf, camping/hiking, hunting, fishing, attending concert venues, exercising with weights and running, in addition to reading history books and western novels. He is also committed to the community and volunteers at the Tarrant County Food bank, and participates with the Juvenile Diabetes Research Foundation.